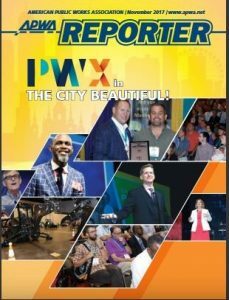 The Snow and Ice Show will be held May 1-3 at the Connecticut Convention Center in Hartford. The trade-show-style conference provides networking opportunities and educational programming focused on the modern principles of successful snow and ice management. Details. The 2018 APWA North American Snow Conference will be held May 6-9 in Indianapolis. The annual conference features presentations from snow and ice professionals and an exhibit hall of winter maintenance solutions. Details. 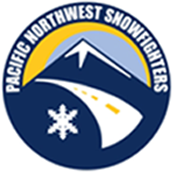 Pacific Northwest Snowfighters (PNS) will host its 2018 conference in Spokane, Washington, June 5-6. PNS has become nationally recognized as a leader in establishing and standardizing chemical products for snow and ice control. The conference will focus on training, education and new technology for the snowfighting professional. Details. The Salt Institute will hold the Salt of the Earth: 2018 World Salt Symposium June 19-21 in Park City, Utah. The symposium focuses on the latest research and development in the international salt sector. Salt experts from several countries will present on a wide spectrum of subjects related to sodium chloride salt, water conditioning, winter maintenance and the environment. Details. 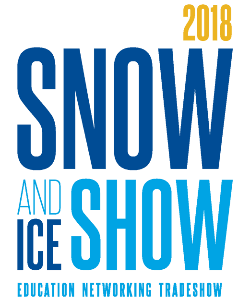 SIMA will hold the 2018 Annual Snow & Ice Symposium June 26-29 in Cleveland, Ohio. The conference offers a two-day trade show and three days of education, networking and activities. Details. 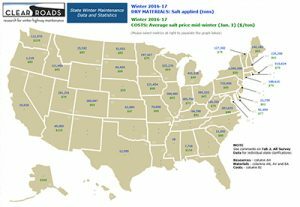 The Annual Survey of State Winter Maintenance Data from the 2016-2017 winter season is now available in an interactive map-based spreadsheet. This multi-year Clear Roads project systematically compiles and analyzes a range of materials and cost data from state DOTs. Three years of data are now included. Project page. The Federal Highway Administration’s Road Weather Management Program (RWMP) assesses its progress toward meeting programmatic objectives through established performance measures. This updated report evaluates 27 performance measures of state practices and capabilities in road weather management. Report. 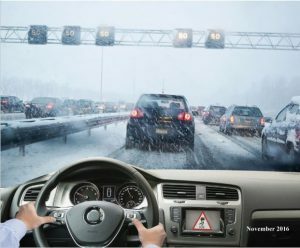 Weather Response Traffic Management (WRTM) strategies are used today to provide travelers with advance notification of hazardous road conditions and appropriate actions that can be taken in response to adverse weather conditions. Connected Vehicle-Enabled WRTM (CV-WRTM) is an approach that leverages the connectivity between transportation structures and vehicles. The Federal Highway Administration’s Road Weather Management Program and Intelligent Transportation Systems Joint Program Office published a report providing high-level guidelines for transportation agencies on how they can incorporate road weather connected vehicle data for traffic management operations and decision-making. Report. 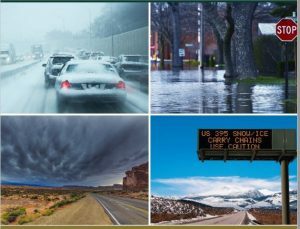 This Federal Highway Administration tool, intended for agencies and regions, evaluates an agency’s ability to effectively manage operations during adverse weather conditions. Once the existing capability levels are determined, a list of concrete actions is created that agencies can use to raise their capabilities to the desired levels. Project page. 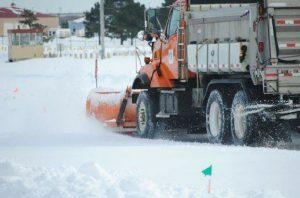 In this two-part article series, three basic winter maintenance operations changes are recommended that agencies can implement to become safe and sustainable snowfighters. Step one involves calibrating spreader equipment, which results in using less materials and thus saving costs. The other two steps include replacing steel cutting edges with more effective long-lasting blades and measuring pavement temperature to aid in setting application rates—both changes also resulting in cost savings. Article (see pages 18-19). In this second part of the series, this article examines the three most common types of materials agencies use to combat snow and ice: solid rock salt, abrasives, and mixtures of abrasives and rock salt. Which materials and mixtures to use are determined by the level of service that agencies are trying to achieve. Article (see pages 22-23). This article highlights the importance of using winter-friendly products and inspecting engines and parts to maintain fleets during the winter season. Examples include using a lower-viscosity oil, which can maintain flow in low temperatures, and inspecting coolant systems and radiator hoses before the cold season starts. Article. 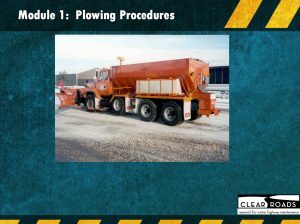 Clear Roads recently completed Project 12-04, which developed a comprehensive snowplow operator and supervisor training program that provides flexibility for states to modify or update the content as needed. The 22-module program covers equipment, materials, techniques and procedures. Details. Previous research demonstrated the ability of snow fences to significantly lower costs for MnDOT. 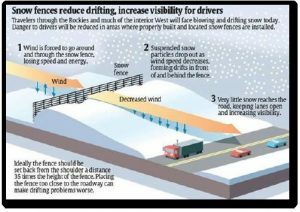 Due to the lack of adoption of snow fences to mitigate blowing-and-drifting snow problem areas, this project sought to develop an effective outreach program to promote greater adoption and increase cost savings. Report. In this project, Ohio Department of Transportation explores methods to increase efficiency and costs of maintenance operations by using Global Positioning System (GPS) and Automatic Vehicle Location (AVL) resource management systems. Data gathered from the system helps evaluate the productivity of snowplow drivers and monitor road conditions. Report. This report evaluated factors that impact the effectiveness of deicers and anti-icers when combined with plowing. The treatments were tested in parallel conditions on actual pavements to assess intuitions based on observations and anecdotal evidence. Report. This project aimed to provide near-real-time road images by installing video dash- and ceiling-mounted cameras on 226 Minnesota Department of Transportation (MnDOT) snowplows. 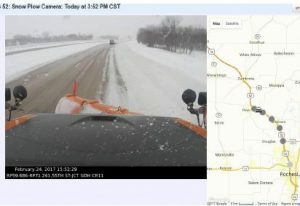 The cameras, integrated with the onboard mobile data computer/automated vehicle location (MDC/AVL) equipment, automatically captured snapshots of road conditions that provided valuable weather information benefiting MnDOT staff and the traveling public. Report. This study pilot-tested the feasibility of evaluating winter maintenance operator fatigue during winter emergencies using naturalistic driving data. Results showed that fatigue was a factor in 33% of safety-critical events, and drivers averaged less sleep during winter emergencies than non-winter emergencies. Report. This project aims to evaluate and measure the impacts of state funds allocated for replacing aging snowplow trucks. 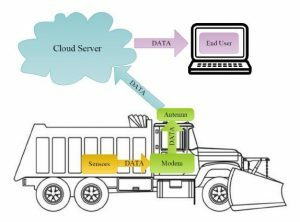 Researchers are also exploring whether real-time automatic vehicle location (AVL) data from UDOT’s snowplow trucks can be used to update the department’s life-cycle model for the trucks. The high-resolution data can help evaluate the department’s current replacement criteria for snowplow trucks (such as age, mileage and condition score) to determine whether the replacement decision is made properly. Project PDF. This project seeks to understand the influence of prewetting product type, prewetting ratio, and application rate of prewet deicing salt on the friction performance of deiced asphalt pavements. By conducting a customized laboratory testing program and developing a plan for subsequent field tests, the project’s ultimate goal is to generate the data needed to optimize the use of prewet deicing salts for enhanced winter mobility. Abstract. Implementing anti-icing strategies combined with smart snowplow technologies has improved the level of service on winter highways. The mobility effects of such best practices, however, remain anecdotal and need to be systematically investigated and quantified. This study lays the foundational work for modeling the macroscopic effects of winter maintenance operations on traffic mobility in the Pacific Northwest, with the first case study conducted on Washington highways. Abstract. To be notified when new issues of this newsletter are posted and to receive the latest Clear Roads news and project updates, join our mailing list.